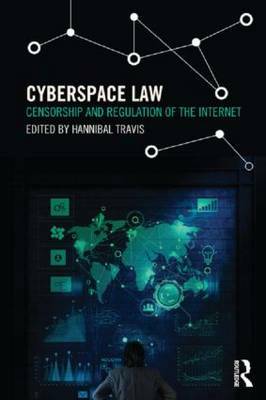 This book explores what the American Civil Liberties Union calls the "third era" in cyberspace, in which filters "fundamentally alter the architectural structure of the Internet, with significant implications for free speech." Although courts and nongovernmental organizations increasingly insist upon constitutional and other legal guarantees of a freewheeling Internet, multi-national corporations compete to produce tools and strategies for making it more predictable. When Google attempted to improve our access to information containing in books and the World Wide Web, copyright litigation began to tie up the process of making content searchable, and resulted in the wrongful removal of access to thousands if not millions of works. Just as the courts were insisting that using trademarks online to criticize their owners is First Amendment-protected, corporations and trade associations accelerated their development of ways to make Internet companies liable for their users' infringing words and actions, potentially circumventing free speech rights. And as social networking and content-sharing sites have proliferated, so have the terms of service and content-detecting tools for detecting, flagging, and deleting content that makes one or another corporation or trade association fear for its image or profits. The book provides a legal history of Internet regulation since the mid-1990s, with a particular focus on efforts by patent, trademark, and copyright owners to compel Internet firms to monitor their online offerings and remove or pay for any violations of the rights of others. This book will be of interest to students of law, communications, political science, government and policy, business, and economics, as well as anyone interested in free speech and commerce on the internet.